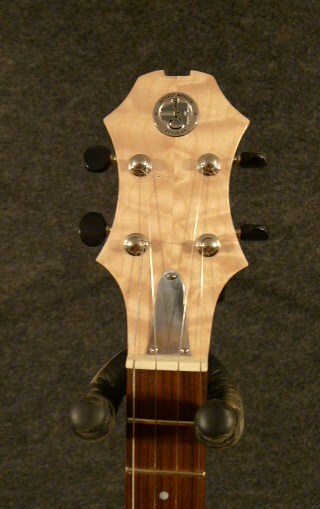 Quilted Maple 19″Long Scale Tenor . • Tuned in GCEA with a low G string. 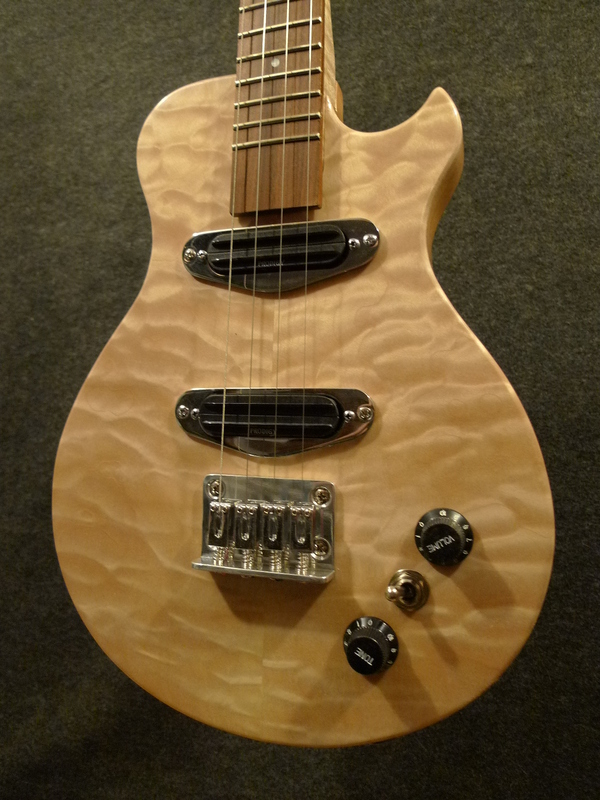 • Maple neck with 2 way adjustable truss rod. • Rosewood 16″ radius fretboard with 18 frets. 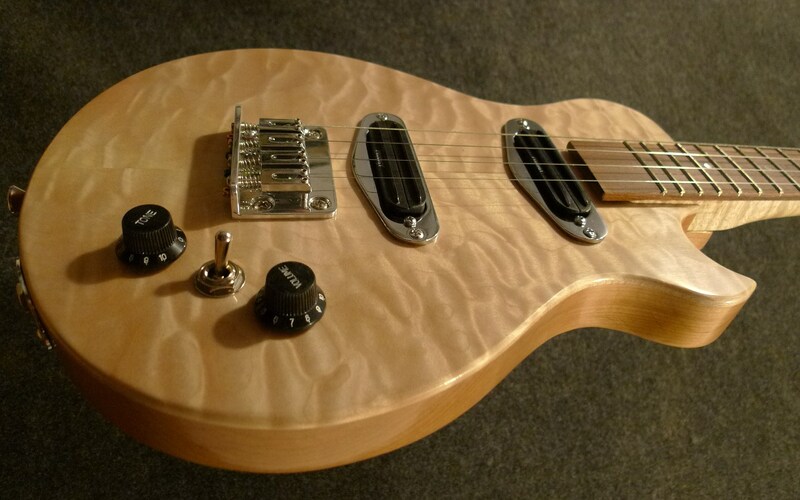 • 2 Prodigy Humbuckers Hot dual blade pickup . If you would like to order a ukulele or get on the list for the next available one please contact me. Check out the blog page for pictures of other ukuleles. Before purchasing please see the info page for warranty and other important information.